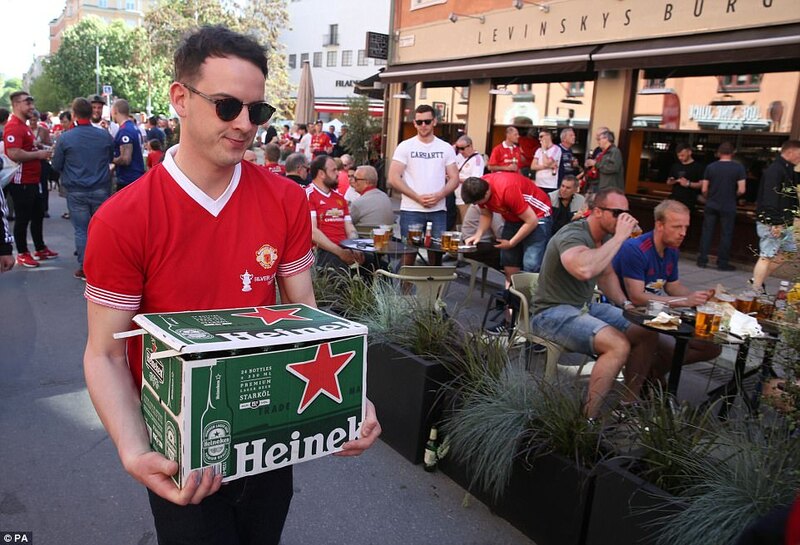 Manchester may have been hit by a terrorist attack, but United fans are doing their best to show that the city has not been divided. 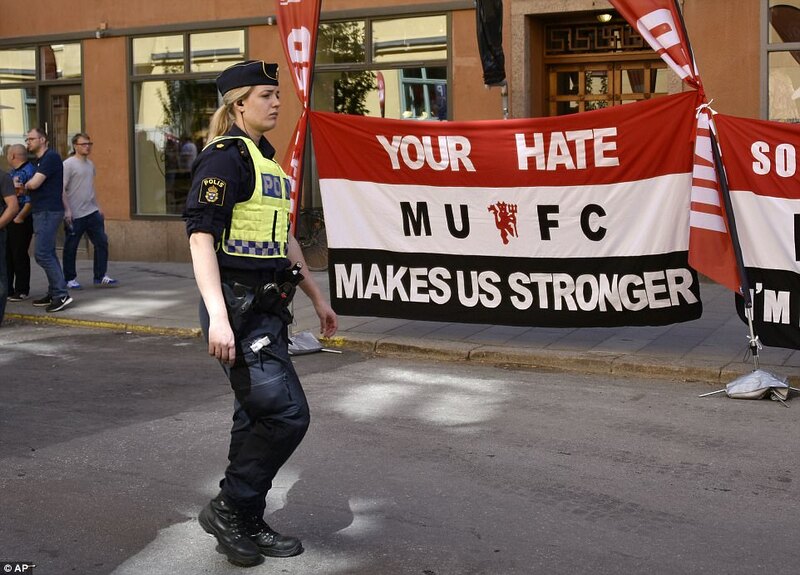 Arriving in Stockholm ahead of Manchester United’s Europa League final against Ajax on Wednesday, fans showed their defiance with banners. 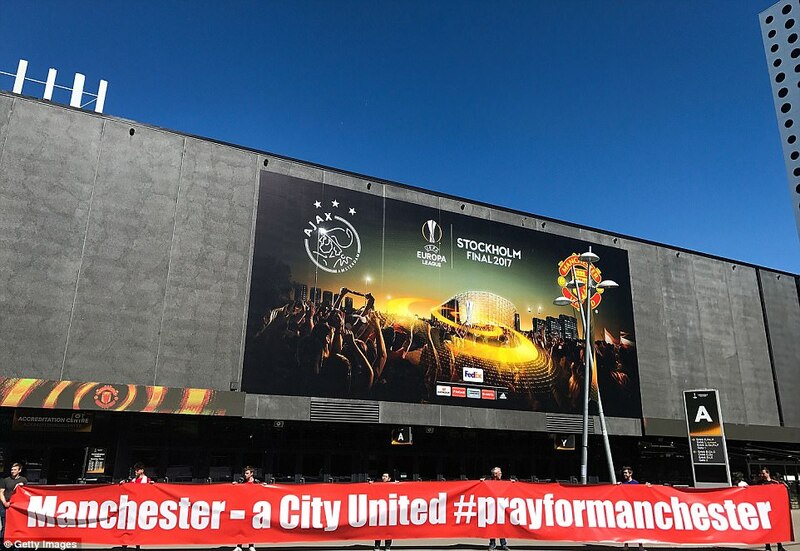 One group of fans posed outside the Friends Arena, where they game will be played, with a large banner which read: ‘Manchester – a City United #prayformanchester’. 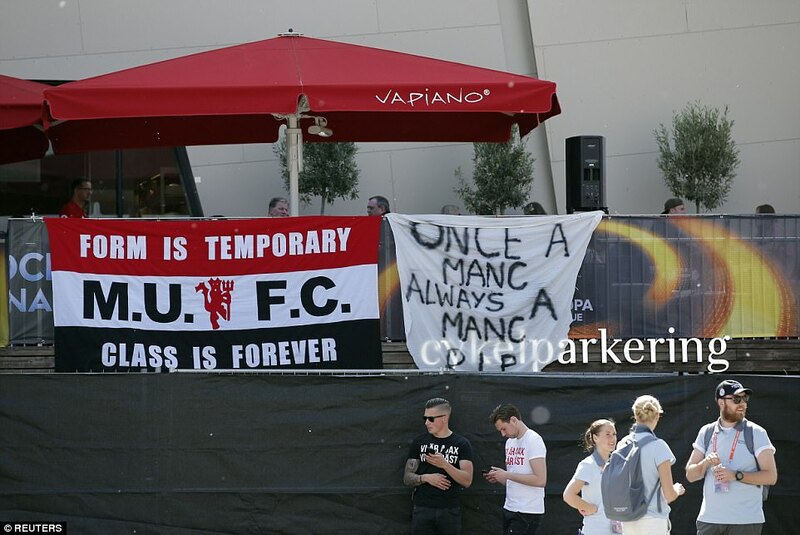 Further banners declared ‘Your hate makes us stronger’ and ‘Once a Manc, always a Manc. RIP’ in response to the terrorist act. 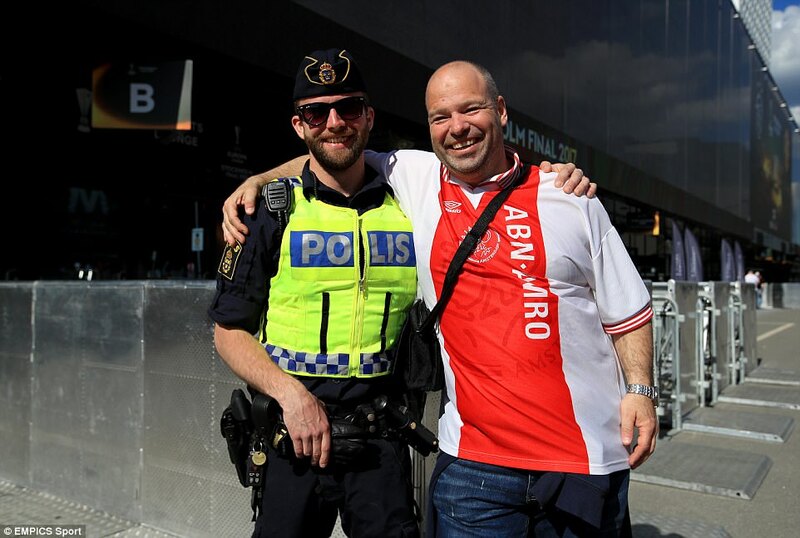 Monday’s attack at the end of a pop concert has led to an increased security presence at Wednesday night’s game. 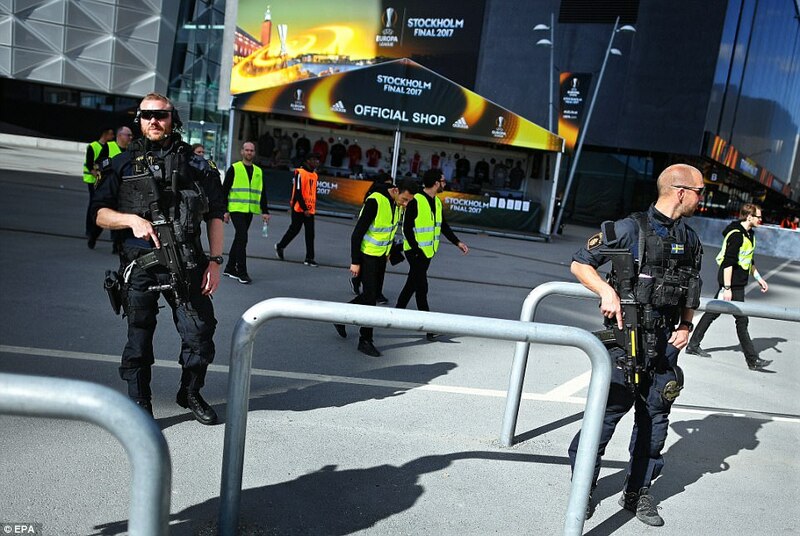 An explosion in the foyer of the Manchester Arena, as an Ariana Grande gig finished, killed 22 people, with a further 119 requiring hospital treatment. 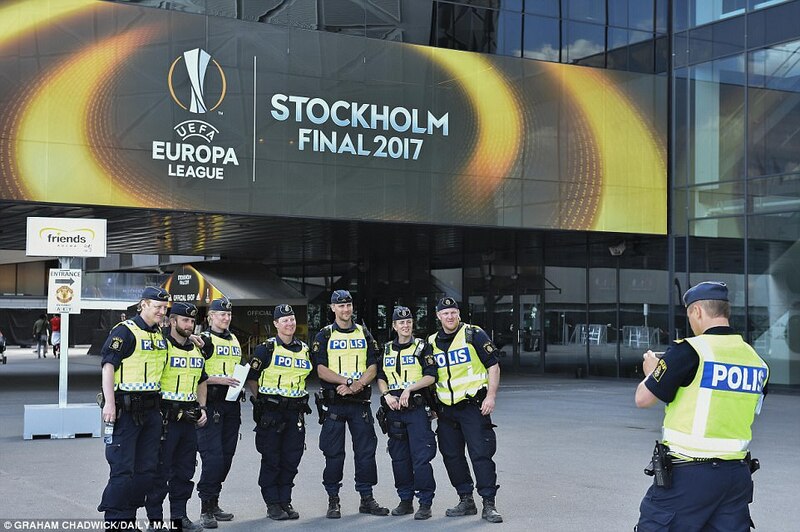 The incident sparked questions over whether or not the Stockholm match would take place as planned, but European football’s governing body, UEFA, announced on Tuesday that a minute’s silence will be held before kick-off after confirming the game will go ahead as planned. 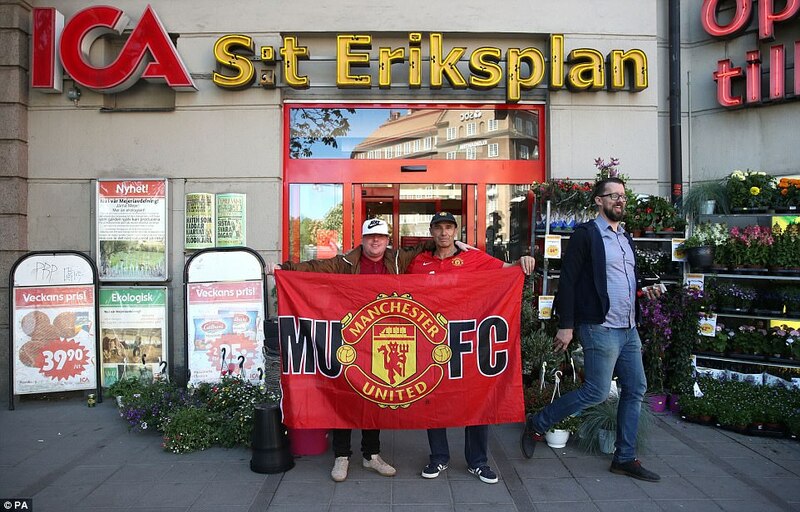 It appears that one fan in Stockholm couldn’t decide on his favourite United player. 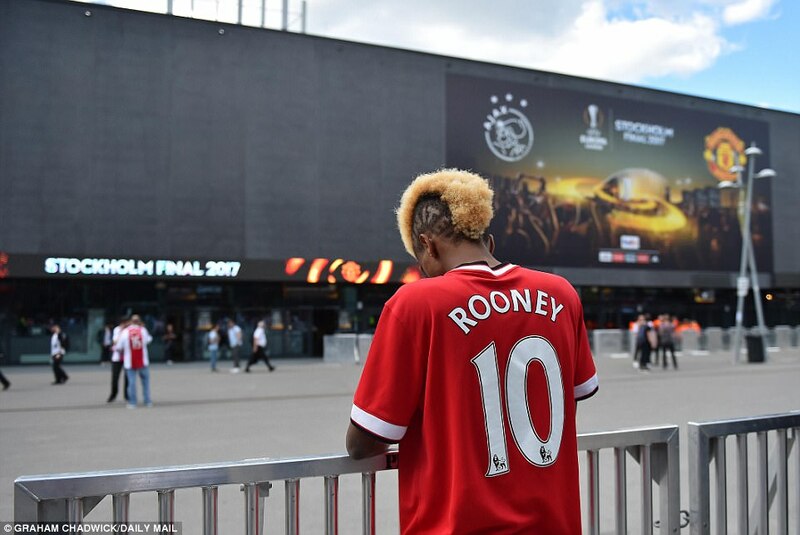 The mixed up supporter decided to combine United’s No 6, Paul Pogba, with No 9 Zlatan Ibrahimovic to come up with this ’69 Pogbahimovic’ shirt. 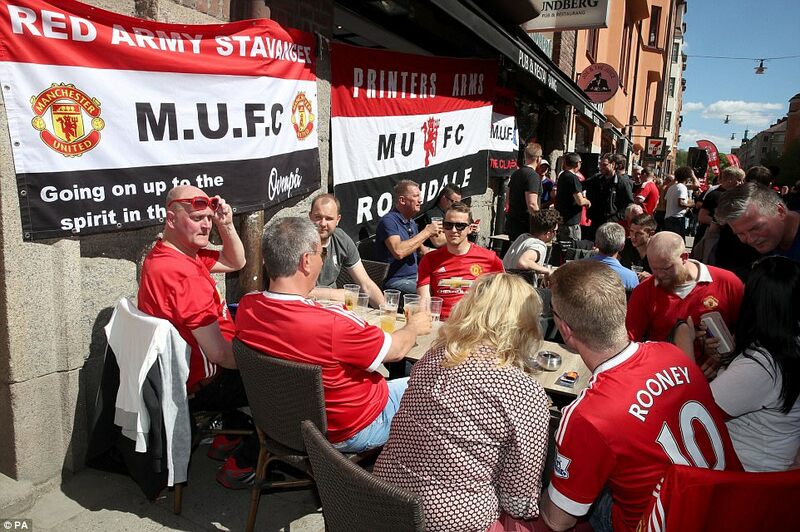 And fans who travelled to Sweden looked determined to carry on as usual, soaking up the sunshine ahead of the game and enjoying Stockholm’s bars. 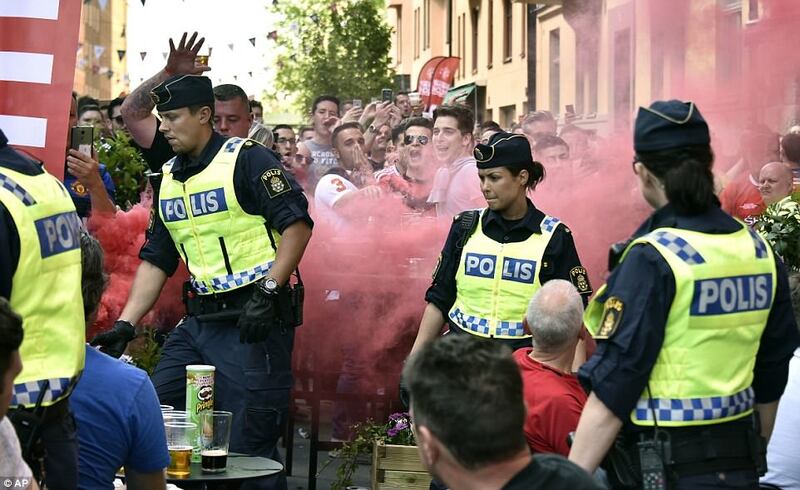 Some let off flares in the city centre, and there was a large police presence on the streets to keep an eye on everything. 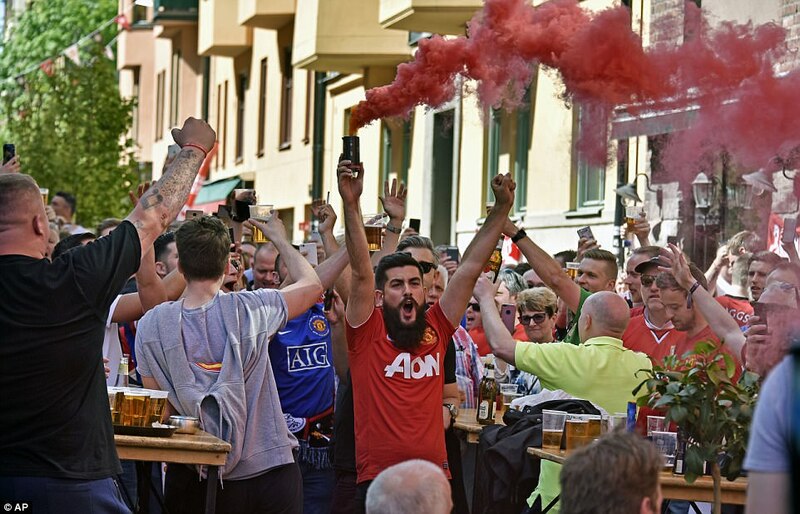 United did not hold a pre-match press conference on Tuesday, at the instigation of manger Jose Mourinho, but he did release a statement urging the city to ‘pull together as one’. 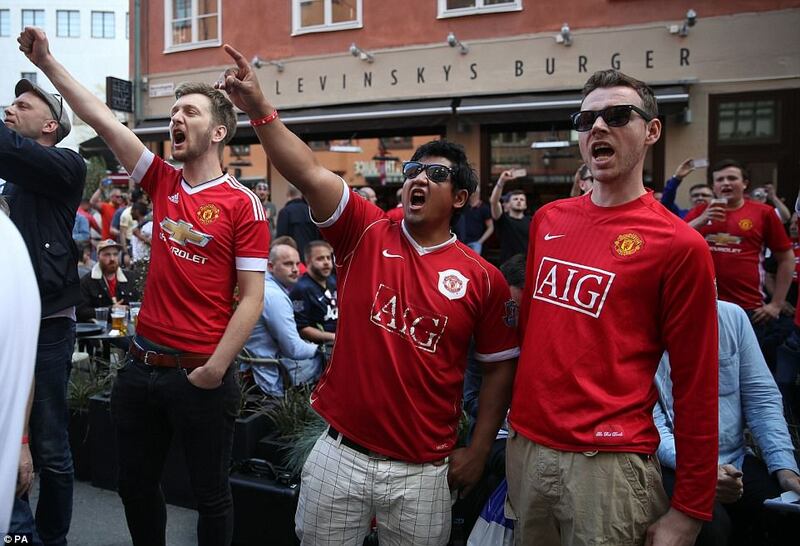 ‘We are all very sad about the tragic events last night,’ said Mourinho. 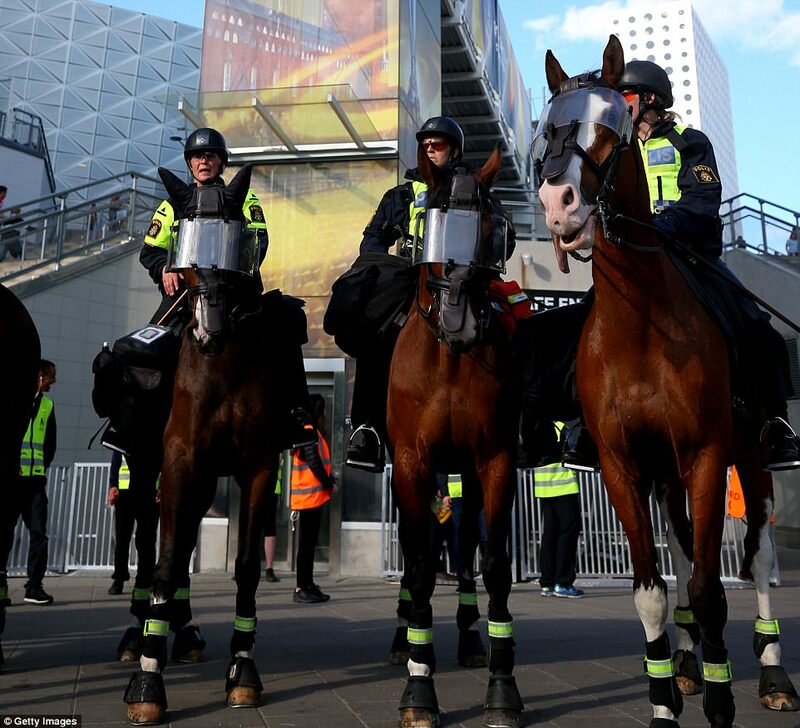 ‘We cannot take out of our minds and our hearts the victims and their families. 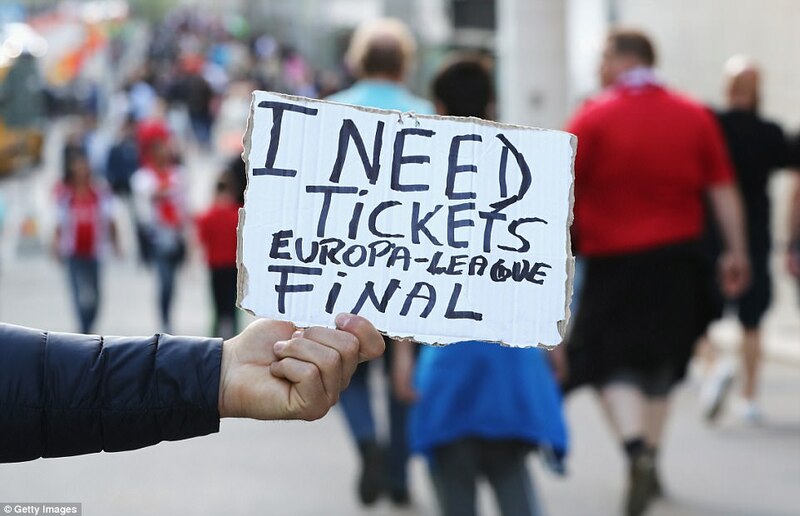 ‘We have a job to do. 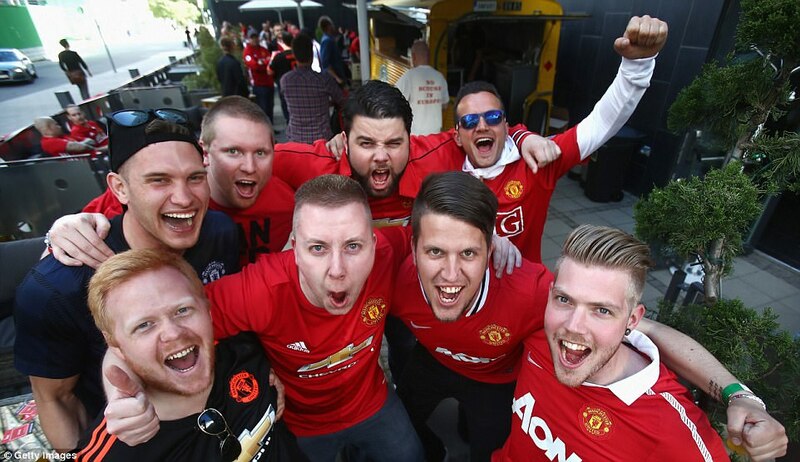 It is a pity we cannot fly with the happiness that we always have before a big game.